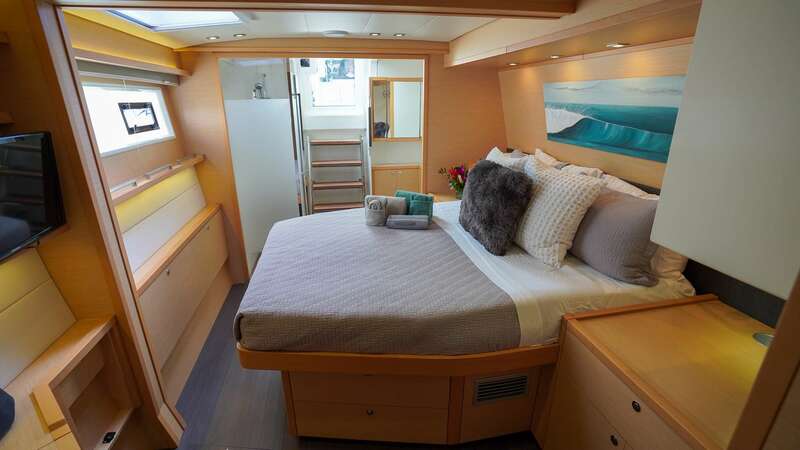 Playtime is a top-of-the-line 2014 Lagoon 560 S2 catamaran. 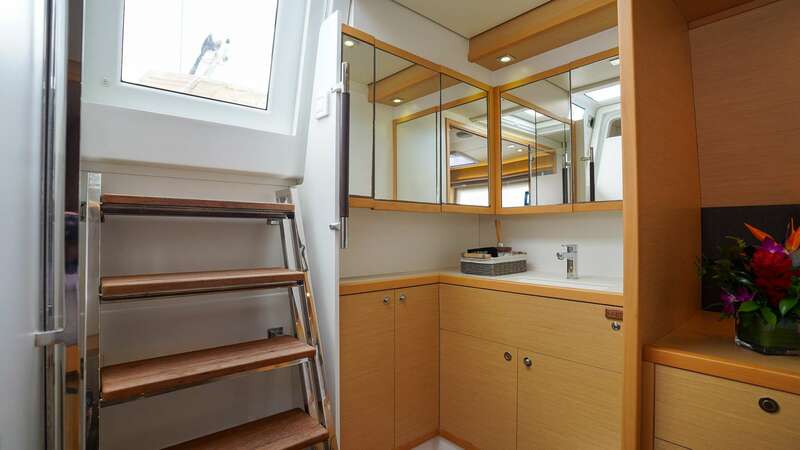 No expense was spared in outfitting this gorgeous luxury sailing yacht which offers four guest cabins (for 8 guests), each with their own private bathroom, a salon with 360 degree windows, 2 dining areas and a foredeck sitting area. 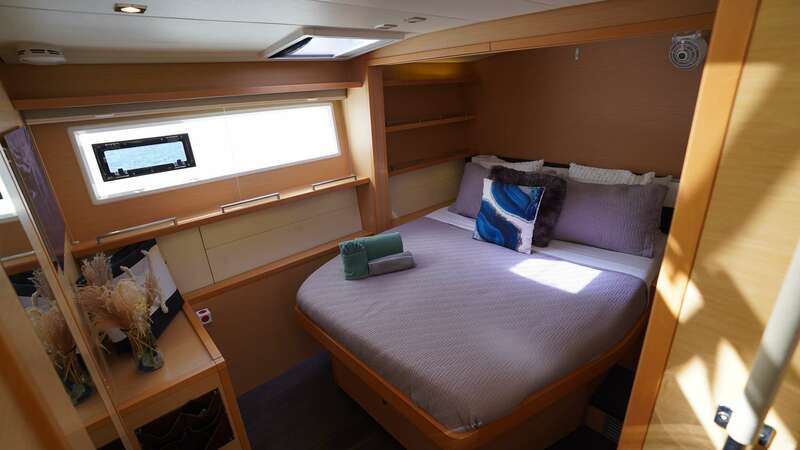 Amenities and toys include TVs in each cabin, 2 trampolines, a 15-foot tender for wakeboarding, tubing or zipping to gorgeous beaches, 2 standup paddleboards, 1 double kayak, a hydraulic swim step for easy water access, and snorkeling and diving gear. 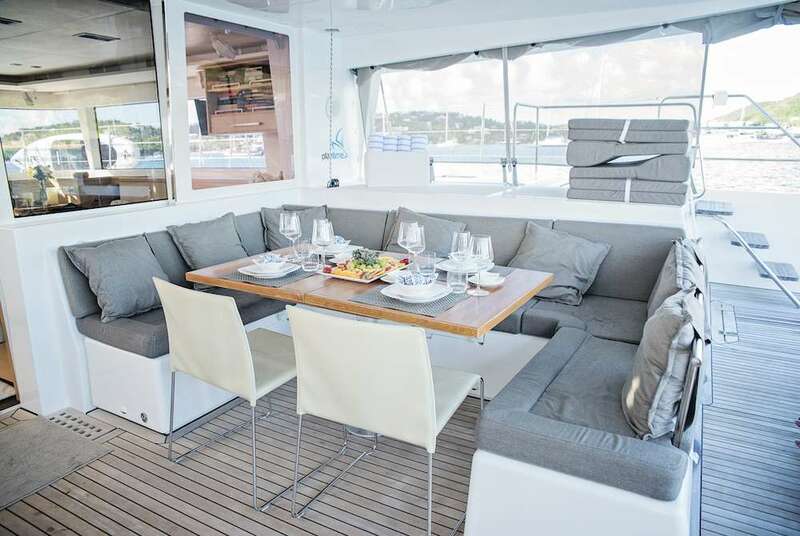 Playtime's elegant yet minimalist design provides the handling of a performance sailing catamaran while offering the ambience and amenities of a world class resort on the water. 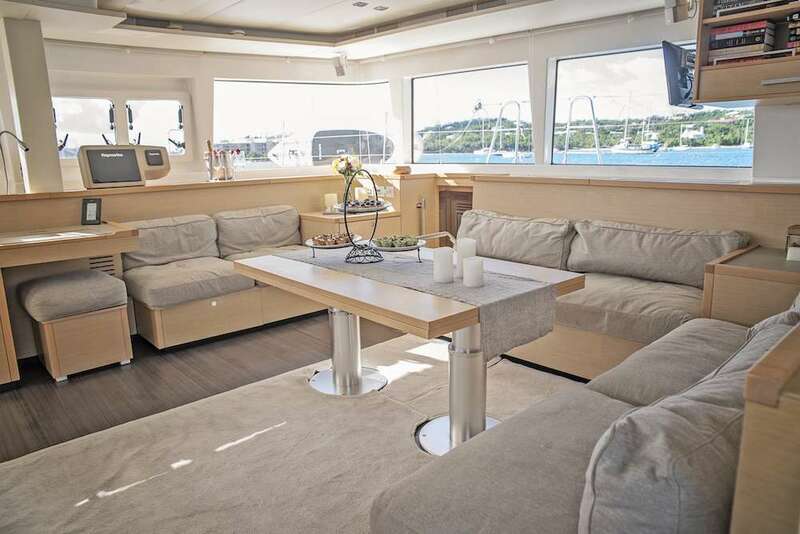 Spacious design of the cockpit and flybridge areas offer guests panoramic vistas, al fresco dining and ample space for lounging, whether in sun or shade. 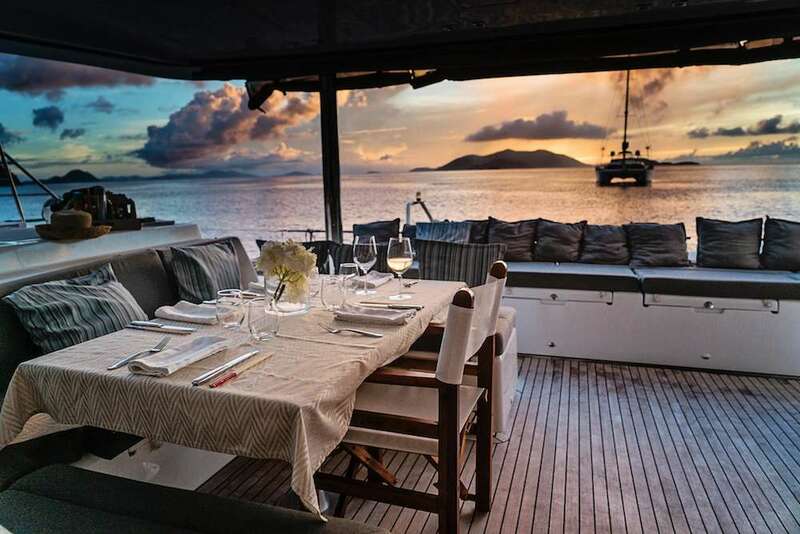 In addition to being awarded "Best Multi-hull under 57ft" at the Tortola Yacht Show in 2015 and 2016, Playtime was a runner-up for Best in Show in 2015. 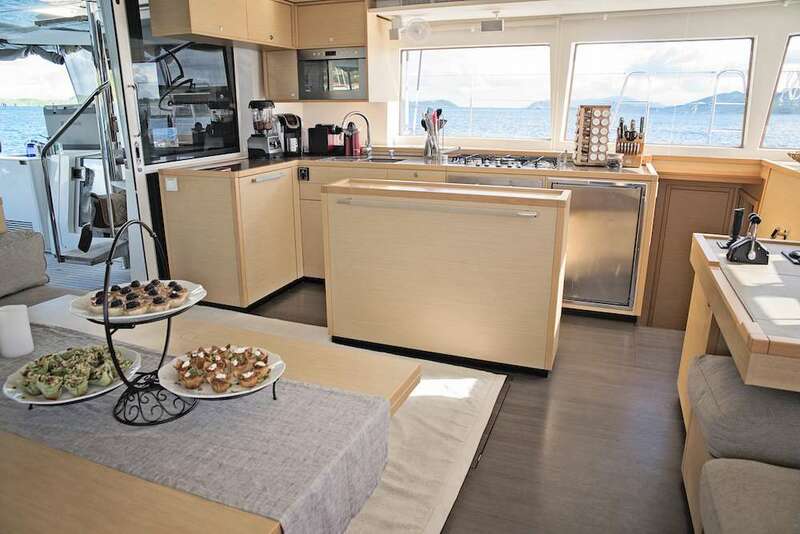 With ample room for up to 8 guests, you can sail all day, relax in a quiet cove, snorkel or dive fantastic reefs or explore the nightlife, the choice is yours. Leave the rest up to us as you enjoy our amazing hospitality and service during your unique and unforgettable vacation! 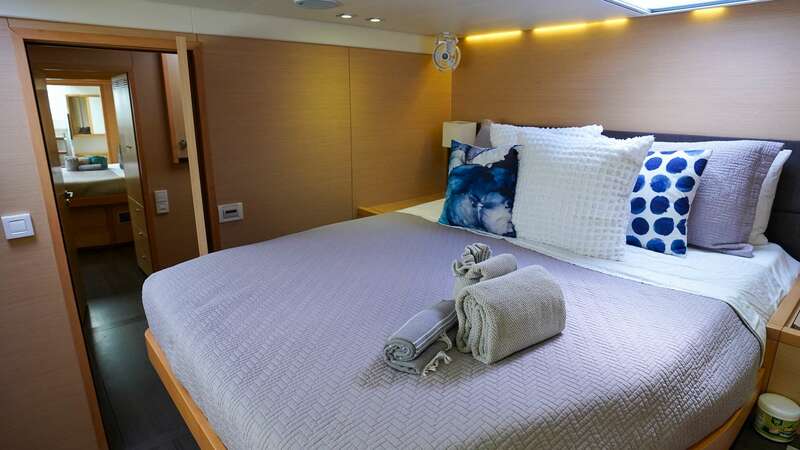 Play Time features 4 guest suites, 4 with queen berths, all with full A/C and ensuite toilet and shower.